Learning bird calls is essential to improve your bird watching skills. But sometimes it’s not a matter of learning different species, but learning the different calls of the most common species. 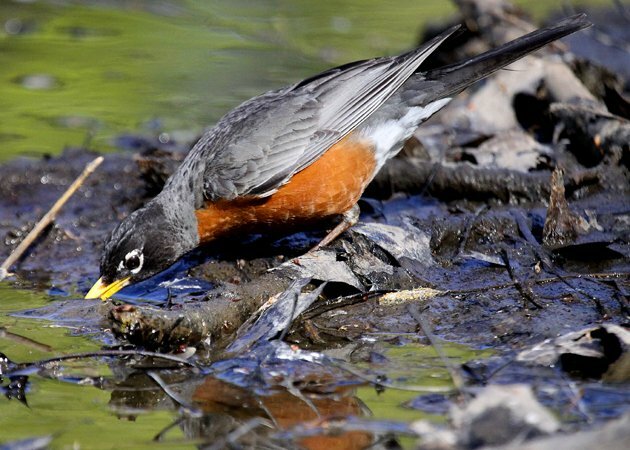 American Robins have a distinctive territory song (sometimes sung at 4:30am much to the chagrin of those of us who like to sleep with our windows open). It’s the chirrupy sound that many of us are familiar with. 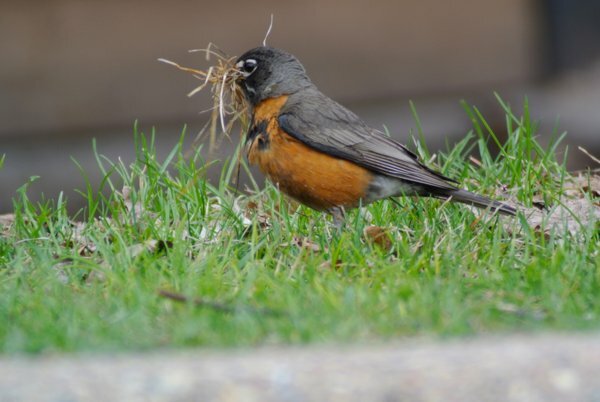 If you get too close to an American Robin’s nest or if a cat or crow is lurking, you might hear this call. But there’s another that can be really handy if you learn to listen for it. This is a handy call to learn. For one thing, you can usually catch sight of a hawk. For another, most people don’t notice it so if you do hear it, pause and say, “There’s a hawk nearby.” Most of the time, one will blast through and you can look like an amazing bird whisperer to your non-birding friends. I can’t ever accept a bird call as a verified sighting, they should only be used as a directional beacon. I have been fooled way too many times over my 60 years to trust it. I was sitting at my pond shooting video and I heard the most beautiful singing coming from above in a tree. It took a few minutes before I located the bird. It was a Blue Jay, hidden in the leaves, all by itself, singing away as sweety as any songbird out there. On another day, I heard a Red-bellied Woodpecker’s call as it flew in. No, it was a Blue Jay. Same thing when a loud crow flew in, no, a Blue Jay. One morning I went to Home Depot and, as I approached the front door, there was a 12 year old boy immitating a male Northern Cardinal which was singing near by. The boy was very good at it and I was majorly impressed. Had I lived close by and sitting on my patio, I would have believed I was hearing 2 male Cardinals singing and I would have been wrong. A little wrong is completely wrong. No matter how good one has gotten at bird sightings, nobody will ever be so good that they don’t need to see the bird. When I used to hunt deer, I would purchase deer urine to put on me to cover my scent. It has a very distinctive (yuk) odor. While walking through the woods one day on a birding outing, I detected that odor. Aha! I am a true woodsman. When I returned home I bragged to my wife about how cool I am after beeing able to smell a deer in the forest. I’ve heard that call before and wondered what it was. Cool post.